I came across this prayer a year or so ago. With it taped to the front of my planner, it reminds me, as I go through my days to plan enough to reach my goals but to also just slow down. In going through a rather particular busy Saturday morning of household tasks, I recited this to myself. As busy as the morning was, it was a good morning. I recognize that often its not life and what we have going on or even what is happening to us, it’s what we attach to it. So as busy as I was I was enjoying myself. Making a conscious effort to enjoy the mastering of my to do list and the satisfaction of my morning. My busyness was interrupted with a pleasurable call to a dear friend before I needed to “scoot” out the door for an errand. In this phone call I shared this prayer with my friend, then out I went. As I drove down the busy Main Street, a 5 lane street, I noticed there was a cyclist in my lane. (“Slow me down Jesus”). He was riding his bike very radically, swerving and weaving from side to side, although staying in the confounds of this lane. No helmet. A situation that on other days may have annoyed the heck out of me. “Look at this kid, doesn’t he realize what street he is on. Doesn’t he know that this is a busy street. And, where is his helmet?” All these, thoughts that I had, but in continuing with my mood of the morning, I just pondered these thoughts with little or no emotion attached. (“Slow me down Jesus”) To be honest with you I admired his carefree spirit. Then it happened, I drove right through a red light! What was I thinking!!!! *My first thought was about my safety. Oh dear God, I know how dangerous that intersection is that I just crossed through. The timing of the lights causes the traffic coming from the other way to speed to make it through. *My second thought was, oh dear God, there was no one crossing the street. There is a park across the street and this is the very same intersection where my daughter would have experienced a driver, just as myself, one morning as she walked to catch the bus for school early one morning. *My third thought when situations like this arise is back to that day, 911. When people’s mornings were delayed and they didn’t make it to work on time and those that were there. 911 gave me such a profound level of gratitude for life and timing. Although I do not believe in lucky breaks and do believe that we pretty much create our lives, sometimes, just sometimes, there are greater powers at work. We don’t see the whole picture or know the reasons why, it just happens. *Another thought I had was, distractions. We can be so smug, thinking we have it all under control yet get drawn into another’s world. I suppose I was admiring the carefree spirit of this particular cyclist yet didn’t see the recklessness unfolding. Be present. *Lastly, integrity. We have been talking a lot about integrity within our home lately. With integrity being a concept of actions, values, methods, expectations and outcomes, I recognize a void. The never ending debate about words meaning more than actions OR do actions speak louder than words? What if every action, that although lead by words, falls short? Certainly it may not be a life threatening happening to you, but somewhere, somehow, when the space is so large between words and actions, there is a cost. 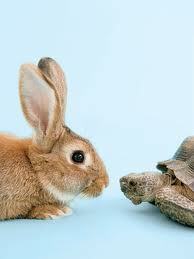 So, today I continue with “slow me down” with bigger eyes and an insightfulness to make it so.